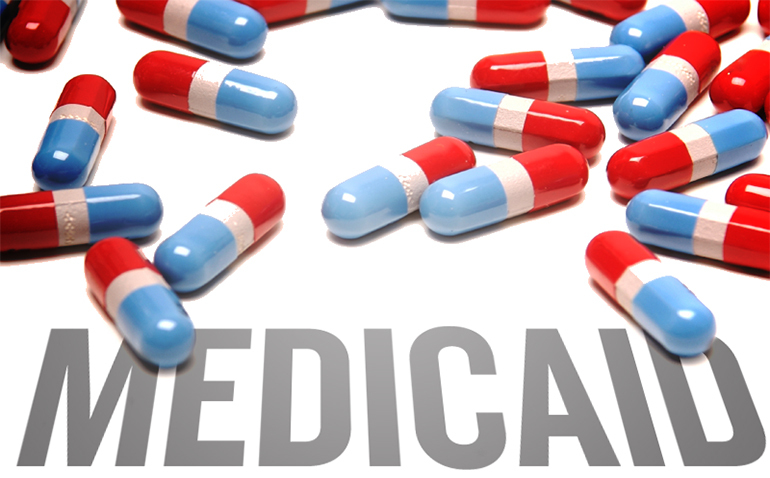 Opponents of Medicaid Managed Care in Mississippi have consistently used a narrative that says the two managed care companies currently providing services for the Mississippi Division of Medicaid (DOM) are making a considerable profit and sending those dollars out of state. The phrase often heard is, “they are loading all those trucks up with money and driving them to St. Louis” (the home of one of the parent companies). This makes a good sound bite for those promoting their own agenda, but citizens deserve a close look at the facts. The contracts DOM has with United Healthcare Community Plan and Magnolia Health require that 85 percent of the money DOM pays to these companies goes toward the payment of medical goods and services for Medicaid beneficiaries enrolled in their programs. This percentage is call the medical loss ratio or MLR. The contracts also require that if 85 percent of the money they receive from DOM does not go to pay for medical goods and services — which includes clinic or office visits, hospitalizations, labor and delivery and other services — the companies must return that percentage to DOM. For example, if in a fiscal year the MLR was 81 percent, the managed care companies would be required to return to DOM the four percent below the required MLR. Now let’s take a look at this closer. When the actuarial firm sets the rate for each Medicaid category that is enrolled in the program (discussed in part two), they set the MLR at 88 percent. One of the tenants of managed care that the program is supposed to be saving the state money. Therefore, the actuarial firm builds in a three percent cost savings for the program on the front end in setting the rates. What happens with the other 12 percent? Two percent goes to pay the health insurer fee (HIF). This is a federal tax levied on the managed care companies by the Affordable Care Act (ACA) better known as Obamacare. Three percent goes to pay the premium tax. This is a state tax levied by the Mississippi Department of Insurance on companies that provide health insurance in Mississippi. The managed care companies are considered health insurers and are required to pay this tax which is deposited in the general fund. Following the math above, we are now down to seven percent. The actuarial firm builds in a two percent profit into the rates. That leaves five percent for the managed care companies to cover their administrative costs such as salaries and fringe benefits for their employees, the infrastructure to pay providers for medical goods and services claims and other overhead items such as office space rent and communication costs for their call centers. Each managed care company employs somewhere between 450 to 500 employees. Therefore, Medicaid managed care provides between 900 to 1,000 private sector jobs in Mississippi. Let’s get back to all that money being loaded into trucks and being taken out of state. Theoretically a two percent profit on about $2.5 billion dollars (annual managed care expenditure) is not too shabby. That’s about $25 million profit for the two operating managed care companies. However, that is not the situation here in Mississippi. We have the worst health statistics in the United States and also the highest level of poverty. These two factors combine to make healthcare for the individuals receiving Medicaid benefits in Mississippi very expensive. The latest MLR figures are running in the 92 percent to 95 percent range. That means the managed care companies have between five and eight percent to pay taxes and their operating expenses. That math doesn’t add up to making anywhere near the two percent built in for profit. It appears the providers are operating at a loss. The take-home message here is be aware of pity sound bites and understand that big piles of money always attract lots of attention. For a wrap-up of the final legislative agreement on Medicaid, check out this Clarion Ledger article.